The Locker Room: Summary: Players make verbal agreement with NBA teams. Summary: Players make verbal agreement with NBA teams. NBA Free Agency is starting to begin, with a number of players stating where they will be signing for the upcoming season. The effect most of them will have on their new teams will be remarkable. Shane Battier, the defensive small forward recently of the Memphis Grizzlies, has agreed to join the Miami Heat. This is a huge addition for a team that needed a sixth man last season, as guard Mike Miller and forward Udonis Haslem were both injured in different intervals for much of the season. Having Battier off the bench will create a dynamic second unit for Miami, in addition to making them a scary defensive team. Moving Dwyane Wade to point guard, bringing in Battier at the 2, LeBron James at the 3, then Chris Bosh and Joel Anthony in the frontcourt, teams will be hardpressed to find decent shots on offense, on the perimeter and in the paint. 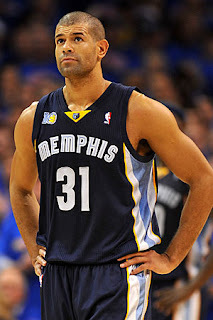 Battier will also fit in well on the offensive end, as Wade and LeBron will often drive and kick to open shooters. He is renowned for his ability to make 3's, shooting 0.382% last season and having made 979 for his career. This was an anticipated deal, but it will prove successful for both sides. Tracy McGrady has agreed in principle to a one year deal with the Atlanta Hawks. With the expected departure of Jamaal Crawford to another team, McGrady will most likely come in and provide in a sixth man role. There may be the possibility of him starting at small forward, with Marvin Williams yet to show the promise of being selected 2nd overall in the 2005 draft and rumours of Josh Smith being traded. The two could be packaged together or separately to bring in quality players for the Hawks. McGrady averaged only 8.0ppg, his lowest since his rookie season, but did participate in 72 games which is the most he has played in 6 years. He will be a solid addition to the Hawks, regardless of Crawford's decision. 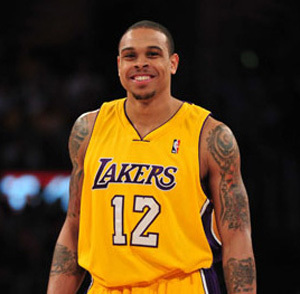 Shannon Brown, the high flying guard formerly of the Los Angeles Lakers, will appear in a Suns uniform this season. He has agreed to a one year deal worth $3.5 million, and a possible situation to start for the team. With Vince Carter being amnestied by the team, and back up point guard Aaron Brooks in China until March, Brown will come in at the 2 and also provided time at the 1 when Steve Nash needs a break. He developed a reliable 3 point shot the last two seasons, and will be perfect in the Suns offensive system, running the break alongside Nash. He received 19.1mpg with the Lakers last year, stuck behind Kobe Bryant, but those minutes will dramatically increase for him in Phoenix. 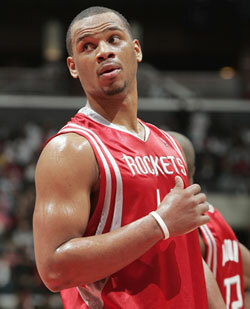 Chuck Hayes, the 6"6' center (yes you read that correctly) free agent from Houston, is expected to be in Sacramento when training camp begins. A four year, $20 million deal is anticipated to be accepted by Hayes, who will join a young Kings team poised to rise in the West. Sacramento already has a steady frontline, so it will be interesting to see how they all fit in together. Hayes is one of the best low post defenders in the league, despite his height, as he is remarkably strong down in the post. He averaged career highs of 8.1ppg and 8.2rpg last season with the Rockets, and will be expected to do just that with the Kings. 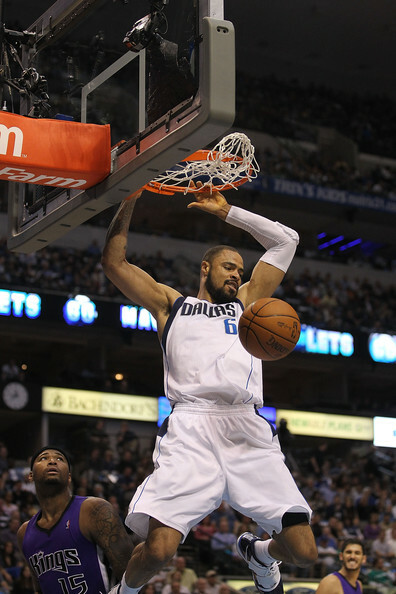 Tyson Chandler, one of the more coveted players this free agency, is said to be joining the New York Knicks. This doesn't come as much of a surprise for two reasons: 1. Chandler was on his way out of Dallas, and the league knew it. 2. The Knicks want Chris Paul to run the franchise in the future, and signing one of his best friends was a good move. Chandler and Paul have been close since their days in New Orleans, and with Paul becoming a free agent next offseason and wanting to play in New York, signing the big man more or less has confirmed that outcome. By doing so, management may have made a mistake. Chandler's deal is said to be around $60 million over 4 seasons, making him one of the three highest paid centres in the NBA, trailing only All-Star Dwight Howard and the Lakers' Andrew Bynum. The Knicks will likely have to trade or amnesty one of their players, specifically Chauncey Billups and Ronny Turiaf, to make room for Chandler and/or Paul. An article will be released soon analysing this scenario, so for now, we'll wait until then. Chandler will bring toughness, defensive prowess and rebounding to a team in need of all three. He was a game changer in the Finals with the Dallas Mavericks, patrolling the paint and bolstering their defense against the offensively powerful Miami Heat. The Heat will have to seek out a strong centre to match up with Chandler; one of the bigger holes in their rotation. He was the x-factor against Miami in the playoffs, and will do so again unless Miami can come up with a solution. Chandler averaged 10.1ppg and 9.4rpg and will be a very good addition to an already strong rotation with the New York Knicks. Caron Butler will team up with Blake Griffin and Eric Gordon in Los Angeles this season. After numerous offers from teams that included San Antonio, Chicago and New Jersey, Butler ultimately decided on the 3 year $24 million proposed by the Clippers. He will have the exciting opportunity to play on a young team and provide veteran leadership and scoring. Butler will presumably take over the small forward spot, thereby giving the Clippers one of the more complete and solid starting line ups in the league. With an athletic frontcourt of Blake Griffin and DeAndre Jordan, dynamic scoring and 3 point threats Mo Williams and Eric Gordon in the backcourt, and all around scorer Caron Butler at the 3, opposing teams will have to step up their defense against a Clippers team that looks to be on the rise. 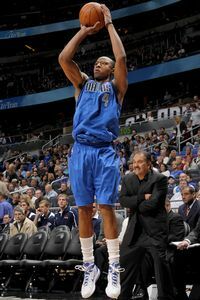 He averaged 15.0ppg on 0.450% shooting in 29 games with the Mavericks last season, before rupturing a tendon in his knee. Butler recovered in time for the Finals, but did not participate as Coach Rick Carlisle did not want to disrupt the chemistry in the rotation. There is no indicator whether or not Butler will be able to play as well as he did before the injury; the Clippers are optimistic, for their sake. 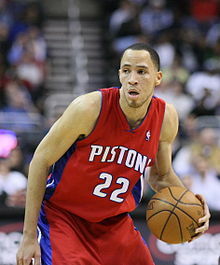 After speculation that he might join the Clippers or Warriors, Tayshaun Prince did the opposite and stayed in Detroit. 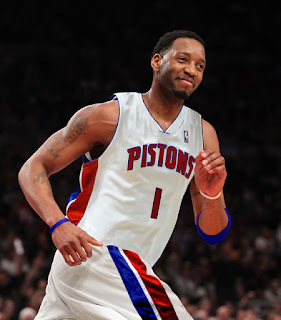 The 6'9" forward out of Kentucky chose loyalty over riches and decided to help the rebuilding process with the Pistons. Drafting point guard Brandon Knight (also from Kentucky) and centre Greg Monroe the season before, the Pistons look to have the right pieces to build a team around and try to rise back to the Playoffs. Prince has spent his entire career in Detroit and will remain there, agreeing on a 4 year $27 million deal. He averaged 14.1ppg on 0.473% and is a solid player at the 3. One of the better defensive wings in the league, Prince will also help Detroit bolster their defense and attempt to become a strong team on that end of the floor, something they have struggled with as of late. 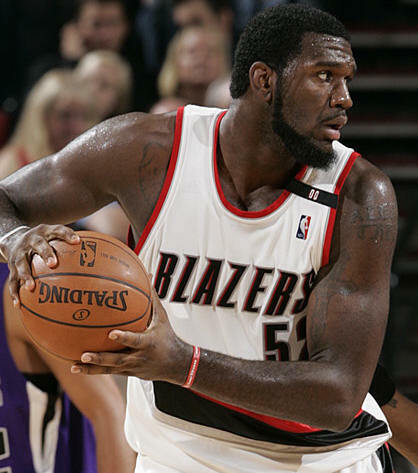 Greg Oden, the oft injured centre of the Portland Trailblazers, will return to the team this season. Despite playing in only 82 games the past two seasons, management is willing to take their chances and stick by the 7 footer. He averages 9.4ppg and 7.3rpg, along with 1.4bpg, for his career at this point in time, so there is a reasonable idea of what sort of player he will be. Oden signed on the qualifying offer the Trailblazers extended, which is worth $8.9 million; an amount other teams could/would not match. Oden also expressed sentiments that he feels he owes a loyalty to the team for sticking by him throughout the duration of his career while he has been inactive. Hopefully he can return this season and show the promise he deserved, being drafted 1st overall in 2007. 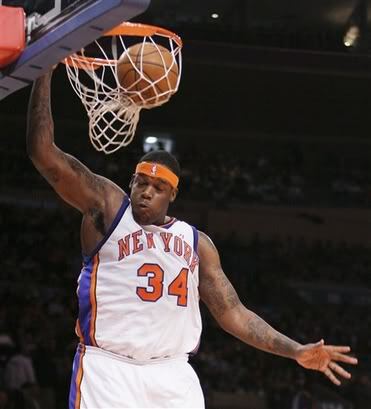 Eddy Curry has agreed, in principle, to join the Miami Heat. The team has wanted Curry for a while, and now has the chance to add him to their roster. He has only participated in 10 games the last 3 seasons, but the Heat still feel he can return to his play as a dominant post scorer. Curry has battled injury and weight issues the past few seasons, and takes harsh criticism for both, especially after signing a $60 million deal with the New York Knicks in 2005. Curry averages 13.3ppg and 5.3rpg while shooting 0.545% for his career, which are solid numbers. A look at his stat sheet for his career, it will show a huge drop off in 2009. People are quick to blame that he was overweight and unfit, but they forget a primary reason why Curry's production dropped off. On January 25th 2009, Curry's ex-girlfriend and their 9 month old daughter were found murdered in Chicago. The grief would have been more than enough to throw his concentration and motivation, and it's infuriating to see the criticism he receives. People act as if he should just shrug it off and keep playing. Curry has a close relationship with LeBron James, and the Heat organization is loyal, so he will fit in well with the group they have. They need a decent back up centre, and Curry's length and weight inside will give them a solid post player not present since the departure of Shaquille O'Neal. Jason Kapono, formerly recognized as one of the league's best shooters, will join the Los Angeles Lakers with a one year deal for the veteran's minimum (around $1.2 million). He will give them a 3 point threat off the bench with the departure of Shannon Brown, who will play for the Phoenix Suns this season. Kapono is remarkably accurate from deep, averaging 0.437% for his career, and even shot 0.514% in 2007. 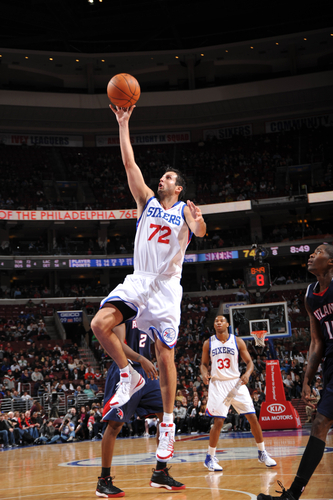 He had an off year with the 76ers last season, scoring just 0.7ppg in 4.7 minutes over 24 games. The emergence of guard Jodie Meeks as Philadelphia's primary 3 point threat meant that Kapono slipped from the rotation. He will likely receive a bigger role in LA. Players will be able to sign these contracts officially tomorrow, when Day 1 of Free Agency will begin. Trade rumours are already beginning (the NBA pulled the plug on a 'Chris Paul to the Lakers trade' today), so we'll see what the NBA has in store for the fans.